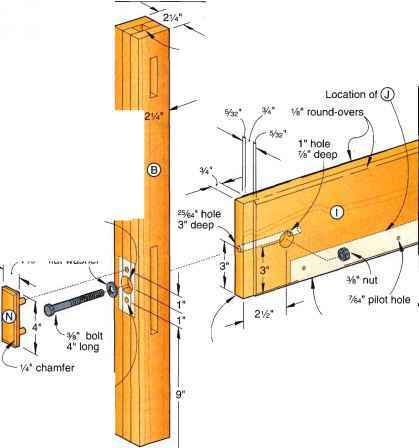 FREE WOOD CRAFT CATALOG FROM CHERRY THEE! 68 full-color pages of plans, parts, kits and supplies for all skill levels. Clocks, whirligigs, dollhouses, door harps, banks and many more attractive items—plus wooden dowels, pegs, wheels, knobs, & more. Tools, paint supplies, stencils, stamps and much more! Wholesale prices available. Catalog. CHERRY TREE TOYS. Circle No. 563. GRIZZLY INDUSTRIAL, INC.
500-page free color catalog ot over 12,000 woodworking and metalworking machines, tools and accessories—all at unbeatable prices! GRIZZLY INDUSTRIAL, INC. Circle No. 583. Rockier Woodworking and Hardware (the new name for The Woodworker's Store) is celebrating their 49th year. Rockier is the #1 resource for hinges, slides, and other hard-to-find hardware. They also feature an EXCLUSIVE line of jigs, shop tables for band saws, drill presses, and routers—as well as exotic and domestic hardwoods. Free catalog. ROCKLER WOODWORKING AND HARDWARE. Circle No. 661. SIMP'L PRODUCTS, INC.
Help us celebrate our 75th year as America's favorite woodworking tool supplier! Our FREE catalog is packed with over 6,000 tools, hardware, lumber and supplies. With over 60 stores nationwide and an online store, we're also America's most accessible woodworking retailer. Same day shipping and an unconditional guarantee—order a catalog today! WOODCRAFT SUPPLY CORP. Circle No. 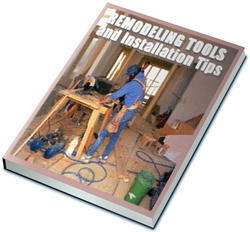 700. . WOODWORKERS HARDWARE CATALOG Free 240-page catalog. Over 6,500 items in stock. Lowest prices. Largest selection. Best sen/ice. Complete inventory of cabinetmakers hardware. WOODWORKER'S HARDWARE. Circle No. 713.